Turf Hacker: Why Does Phosphite Matter? Last year I wrote a Debbie Downer article about phosphite and how it isn't as environmentally friendly as you might think. Just because it is marketed as a fertilizer doesn't mean that it doesn't have an environmental impact. We all know the impacts fertilizer can have on the environment. 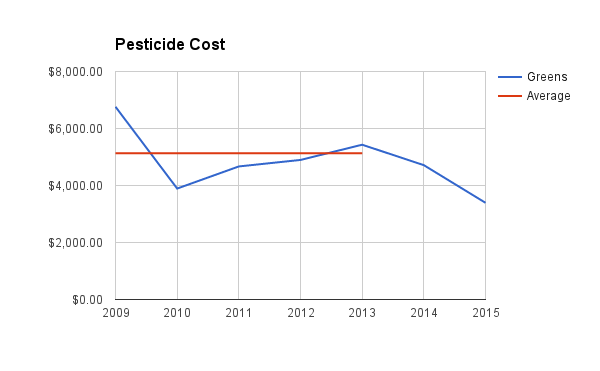 I use the total cost of pest control and the EIQ to quantify my pesticide use. 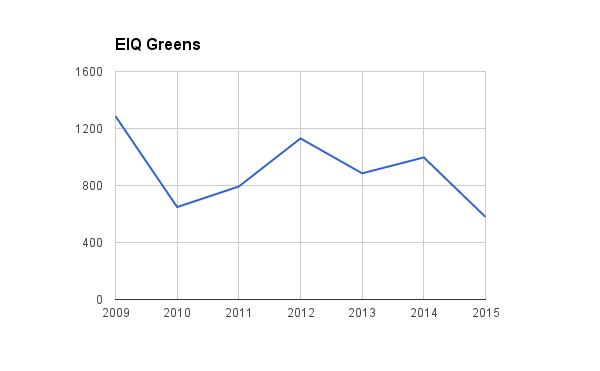 Even though the EIQ is flawed, it's the most user friendly and useful way to measure the environmental impact of a product applied to a golf course. With my data collection I have found that by incorporating phosphite into my disease management strategy I have been able to keep costs and the EIQ relatively unchanged. That means that the phosphite makes up for its cost and EIQ in reductions in cost and EIQ of traditional pesticides. So in the end there really is no difference, on paper anyway. 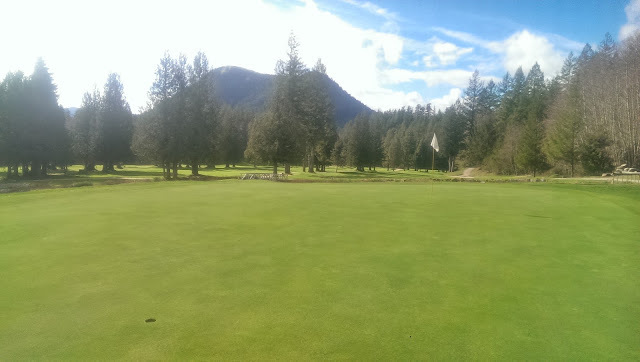 Since I incorporated phosphite into my disease management program I have cut the environmental impact of my traditional pesticide use by 40%! Now if I wanted to blow smoke up the environmentalists's asses I could rightfully tell them this. That would be a big deal. But the realist in me knows that just because Monsanto doesn't make it, doesn't make it good. I always get a kick out of some people's "natural" or "organic" home weed control ideas. My conscience won't let me claim victory on this one, sorry. The most meaningful pest control numbers are overall cost or EIQ reductions. Last year I managed to reduce both of these by 30% but that doesn't mean I can do it again. I guess if I can consistently meet that 30% reduction it will be cause to celebrate but until then we can assume it was simply a fluke. The result of dumb luck or good management decisions? I don't know. It's a positive trend but is it sustainable? don't know what's being applied. One pass fairway app anyone? misinformation. For the most part the public doesn't care if phosphite has an environmental impact. They care that I'm using less devil baby killing traditional pesticides. Think what you will but from what I've experienced, what the majority of people perceive to be true pretty much makes it true. The real question is; is it ethical to say you are using less pesticides even though you really aren't? Pesticide Bans and Restrictions: These products work. They will definitely help you reduce the use of traditional pesticides which are the products that are impacted by pesticide bans and restrictions. Because for some reason phosphite is considered a fertilizer, we can bypass these restrictions. If I was managing turf in Ontario, for example, the use of phosphite would significantly reduce the amount of work I needed to do on my annual pesticide use audit. If in the future we are met with more pesticide restrictions, products like phosphite will help us manage our grass to acceptable levels without our old faithful pesticides. Easier pest management. I used to get huge disease outbreaks overnight and now I no longer do. 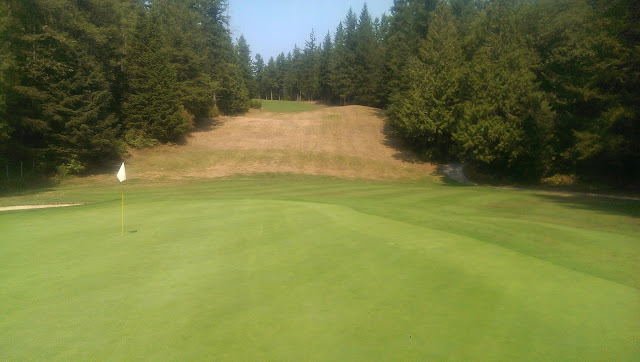 Disease comes on slow and I have a lot of time to make adjustments to my cultural practices and can, in most cases, prevent the disease from progressing to a point where it causes damage. Case in point my success with managing Anthracnose and Dollar Spot last year. Yes they were present, but not in levels that required a pesticide. This might be one of the most understated advantages of using an ISR product. Last year this slow disease progression played a huge part in my 30% reduction in overall pest control costs and EIQ. This benefit will not be realized if you use preventative pesticide applications though. Easier to apply than other ISR products. In my experience phosphite usually comes as a clear liquid. It mixes well with every product I have ever used as well. I think the biggest advantage though is that it can be safely applied in any conditions. Winter, Summer, Hot, Cold it doesn't matter. The only thing I like is to have it sit on the plant for a few hours before rain. Other than that there is really no fear of adverse effects such as there would be with mineral oil applications. One thing that leaves me wondering is the disease management success I've had on the rest of my golf course that doesn't receive phosphite. I only use phosphite on my greens but my tees and fairways have never had so little disease in the winter. I guess it's true when they say you can't pin your success to any single thing. It's the complete package that makes the difference. Greens are also a totally different beast when it comes to managing disease that the other surfaces on a golf course. A lot of people want to blame my pest control success on things like the MLSN or growth potential and believe me, I do too, but I am just starting to see things that might suggest that this is the case. I guess we will just have to wait and see. I'm not willing to give my fertilizer practices credit yet. I've seen good research showing the benefits of phosphite and have observed it's impact on unintentional control plots over the years (missed passes with sprayer). Observations about excess fertilizer applications are just starting to trickle in and I expect to learn a lot over the next few years as I work to reduce any nutrient excesses in my soils. So for now I blame most of my pesticide "reductions" on phosphite because it is, in my opinion, the most likely culprit.